This year we have again commissioned artists and designers worldwide who created cool merchandise for you. Please note: All designs, except for the main 2018 design, will be limited to 666 pieces (girlies to 333 pieces). This year we will already offer the main design for sale on Tuesday. 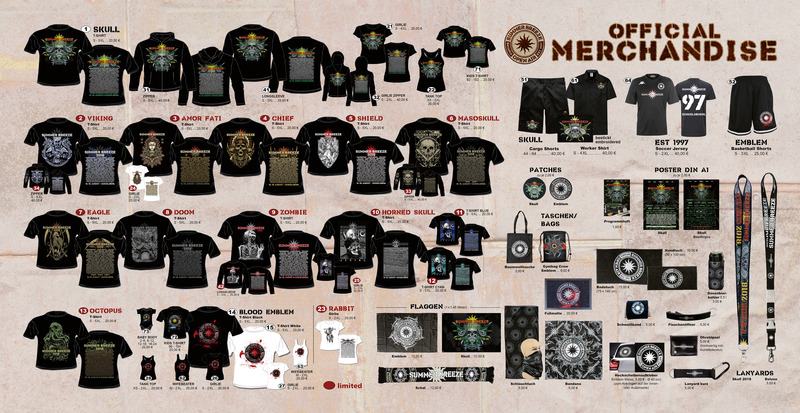 Here you can take a closer look at the merch. 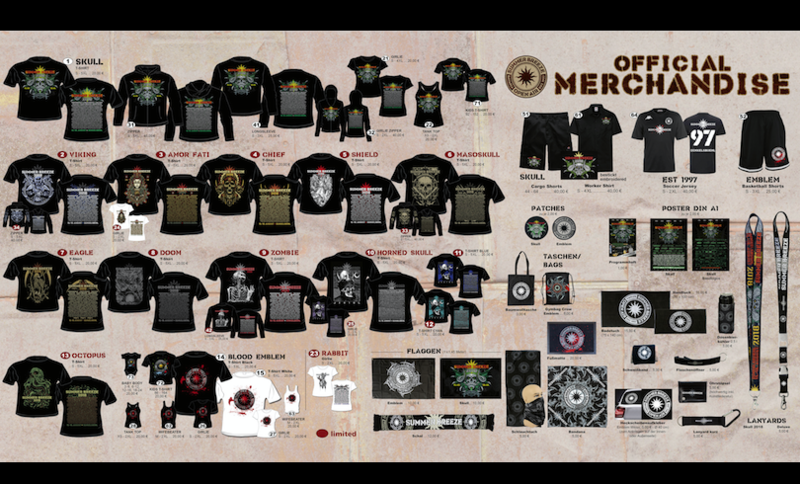 This year we´ll be having merchandise at the festival which was produced in collaboration with a G.O.T.S. certified company. It sets guidelines regarding the social aspects for workers (no child labour, fair wages, freedom of assembly, industrial safety, and much more). We hope this way we represent your opinion, too! Metal – brutal but always humane! We offer all shirts in the sizes S to 5XL. Zippers are also available in S to 5XL, while all girlie shirts and girlie zippers will be available in S to XXL for the ladies.